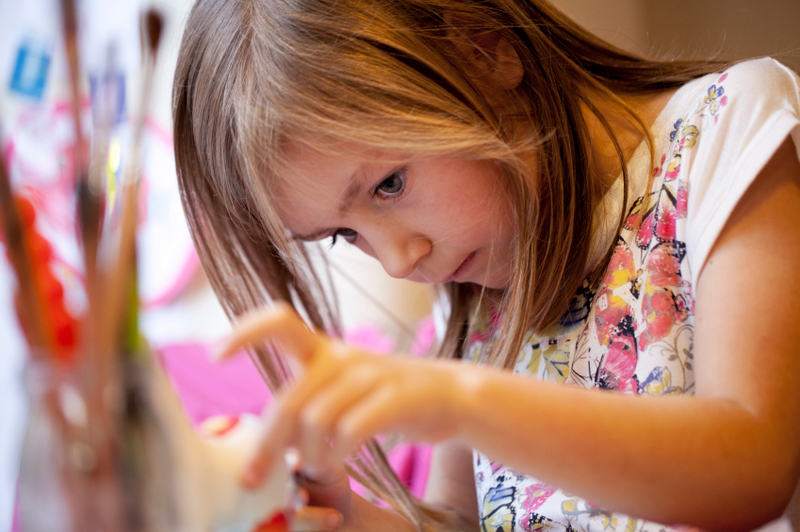 STEAMLabs are fun, hands-on classes that engage children in science, technology, engineering, art, and math activities. Participants learn to question, explore, experiment, reason, and apply abstract concepts to real world challenges. 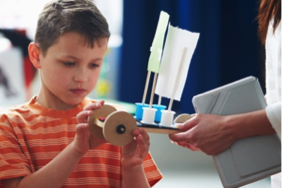 In our classes, participants design and build rollercoasters, gliders, animated movies, stories, clay monsters, robots, bridges, cars, 3D jewelry, and all sorts of gadgets and gizmos. Creativity and teamwork are emphasized in our engaging programs. Interested in Groovy Science, Cake Chemistry, or Flight Physics? 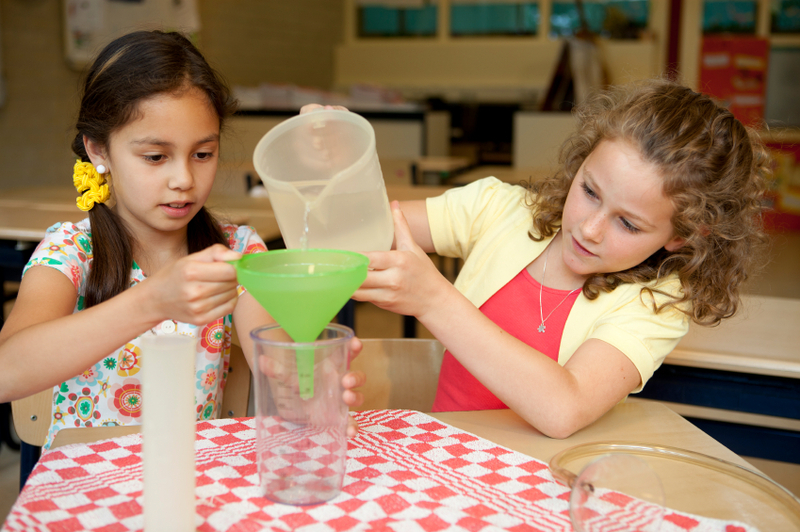 Super Scientists’ hands-on activities allow students to investigate topics such as polymers, gravity, chemical reactions, and more. Super Scientists I, which is designed for younger students, connects science concepts to a variety of Dr. Suess books, making activities both informative and fun. Our younger students use their imaginations and explore simple engineering concepts while working in teams to design, build, and create. 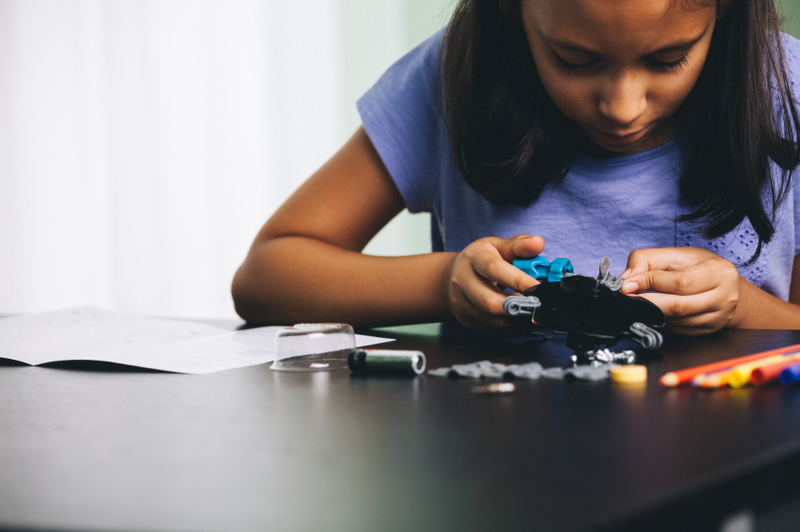 Using age-appropriate materials such as clay, pipe cleaners, Legos, and foil, Mini Engineers will design boats, assembly lines, mazes, towers, parachutes, and domes. Students are introduced to engineering concepts through hands-on activities using simple materials such as marbles, rubber bands, cardboard, washers, and tape. Junior Engineers move through challenges such as building roller coasters, gliders, bridges, and cars while working together to experiment, test, and make observations. Design and build real robots using the VEX IQ robotic system. Students learn how to construct a basic robot and then modify it to complete various challenges, all while utilizing an array of gears, wheels, and other accessories. 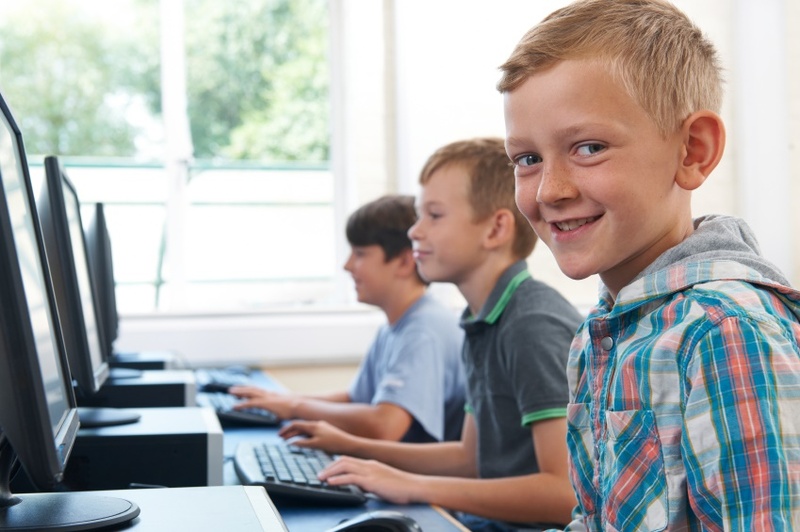 Each class encompasses critical thinking, teamwork, engineering, functional design, and programming. 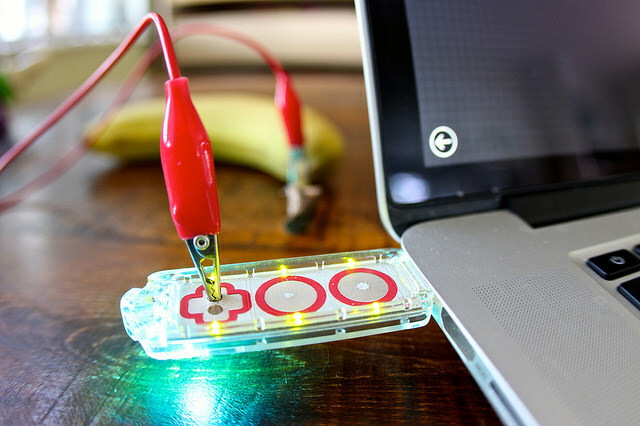 Imagination and technology come together with Makey Makey, a creative introduction to computer engineering. Students experience the magic of Makey Makey by turning bananas into piano keys that play music and balls of Play-Doh into computer game controllers. The possibilities are endless—as is the fun. No programming experience needed! Designed as a sampler of STEAM activities, students in the STEAM Zone take on a variety of projects and challenges designed to explore the 21st century areas of science, technology, engineering, art, and math. Get ready for fun with activities that float, glow in the dark, ooze, and more. Students are encouraged to develop problem-solving and engagement with science learning about water and ecology science which emphasize challenges specific to New Jersey, it’s beaches and waterways. Students will conduct experiments on cohesion, adhesion, capillary action, buoyancy and learn about freshwater and marine ecosystems. 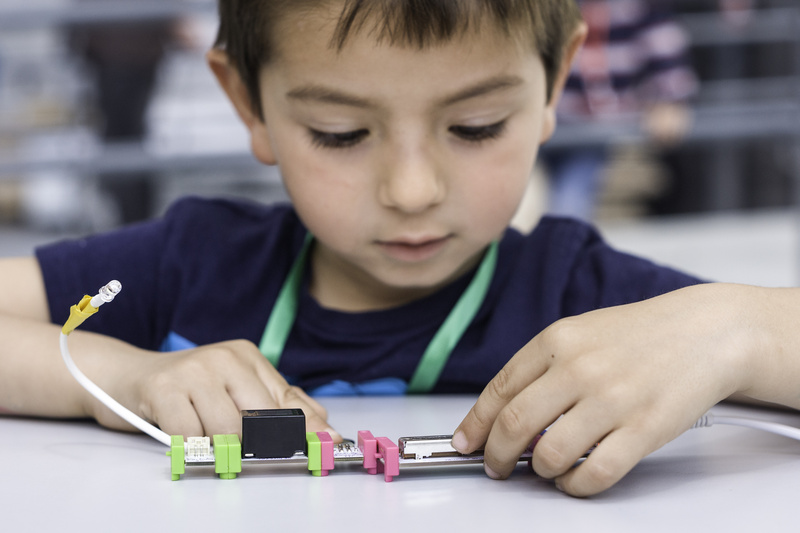 Experience the growing movement of making, creating, and learning in our Makerspace Workshops, where experimentation and creativity are encouraged. 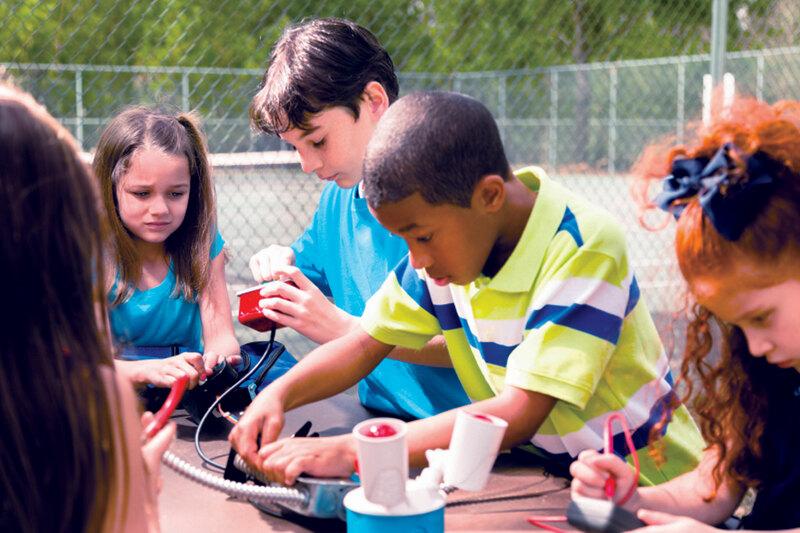 Students are provided with the tools and materials to make a variety of fun gadgets to use and take home—brushbots, marble runs, flashlights, and more. We bring STEAMLabs to schools, recreation departments, and community centers throughout Monmouth and northern Ocean County. Call 732-933-4767 to learn how STEAMLabs can add value to your afterschool, in-school, summer camp, and recreation programs. 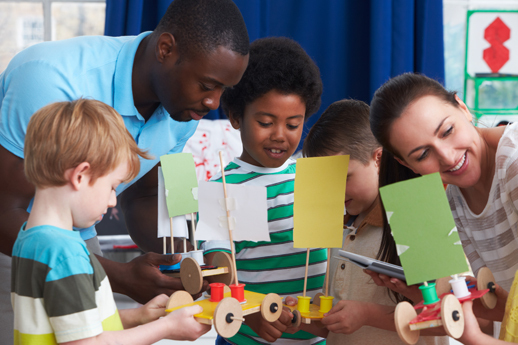 At the Friendship Train Foundation (FTF), we invest in children by connecting them with enrichment activities that broaden their horizons, allow them to explore STEAM topics in a fun, relaxed atmosphere, and help them develop the skills they will need to be successful in the 21st century . We believe that a strong and sustainable community depends on the success and well-being of its children. STEAMLabs is a series of hands-on, interactive classes that help children learn about science, technology, engineering, art, and mathematics in a fun, relaxed atmosphere. Through our partnership with various local businesses and organizations, we are able to bring cutting edge arts and technology to the STEAMLabs program. At FTF, we are deeply committed to bringing enrichment opportunities to under-served communities in Monmouth and northern Ocean Counties. Help us deliver exceptional educational programming to all children. Your donation will make it possible for an underprivileged youth in New Jersey to participate in a variety of enriching after school educational and recreational activities that focus on a STEAM theme. To learn more about our foundation, visit our website at www.friendshiptrain.org. Since 2011, Friendship Train Foundation has partnered with Our Lady of Mt. Carmel School (OLMC) in Asbury Park, New Jersey, to provide students with afterschool learning and enrichment opportunities. Our mission is to help children discover their talents and interests, building their self-esteem as they strive to achieve their dreams. OLMC’s programs are funded through a variety of grants, from FTF and other private foundations, as well as from a 21st Century Community Learning Center grant from the State of New Jersey. In 2014, the program was one of three featured by the United States Department of Education for excellence in Science, Technology, Engineering, and Math (STEM) programming.